Beautiful Residence in the Heart of Paris... Great Location! The building has a coded front door and is on a quiet street. It has a reliable elevator and the apartment is on the 5th floor with a large balcony with patio furniture. Enjoy walking to neighborhood restaurants, cafes, bakeries, butchers, delis, banks, churches, Post office, and all the convenience stores you will need. The famous outdoor market on Rue Cler is only two blocks away so you can go and get some fresh food to prepare in the kitchen or eat in a park. The two bedrooms (one with queen size bed, the other with a twin and an additional drawer bed), the convertible sofa-bed for 2 and an extra roll-away bed will welcome up to 6 Guests. Bedrooms are facing a courtyard and the heavy wood shutters make it so quiet! The kitchen is fully equiped with everyhting you'll ever need, inlcuding the cooking staples. The bathroom features a oversized shower, sink, stackable washer AND dryer! Come stay with us in the best neighborhood of Paris! We also rent a beautiful residence in Burgundy... make it a week end side trip! A bientot! Merci. I have been in the Real Estate business most of my professional life: Realtor in Colorado and renting my family properties in France since my expatriation in Denver, more than 20 years ago. We take our 3 kiddos back to France every summer to visit our friends and French family! Paris is still our home, and we love to discover the new things that this city has to offer every year. I am glad I can share this wonderful place with you! Bathroom and toilets are in 2 separate areas, accessible by any place in the residence, without disturbing the others. Just walk down the street and keep your eyes open: In the heart of downtown Paris! Arriving Guests will usually find oil, vinegar, salt and pepper, sugar, coffee grounds, filters, maybe a pasta box... If you do finish one of those items, please do replace it for the next Guests. French and English language books that are left by our previous Guests. large and sunny patio! A luxury in Paris! Coded front door and elevator in the building, Fully equiped Kitchen and most staples provided. Board games for the whole family. Washer and Dryer in the bathroom, patio furniture, Fully bilingual Paris Manager will welcome you, be available during your stay and check you out. Extra house keeping available. Portable crib, stroller and booster seat available upon request, at no additional charge, No pets. We’ve always loved staying in the 7th. Building very quiet and Fernando could not have been ore hospitible to our family on arrival and departure. Our sons did not want to leave Paris! We spent 5 nights in this apartment in the heart of Paris. It really is a great location. Good restaurants, grocery store, and transportation close by. It is close to the Eiffel Tower and right on the river. We took the hop-on-hop on bus boat since we did not have lots of time and it was great. The manager knew when we were coming and was looking out for us downstairs. The apartment even has a freezer in the refrigerator. I would recommend this as a place to stay in Paris! thank you for sharing your great experience at La Comete and the details will sure help fellow travelers to appreciate all the conveniences and amenities the residence has to offer. It was a pleasure hosting you and will welcome your return and the stay of your friends. Merci! This apartment was in an amazing location. Just minutes away from Rue Cler, great restaurants and cafes, the Seine River and the Eiffel Tower. The apartment has a nice, big balcony and a well-equip kitchen so you can cook all the fresh food you purchase at the Rue Cler market. It is in a great, safe neighborhood among lots of locals. We stayed here in mid July and had a fantastic time. The apartment is very comfortable, well stocked, and in a perfect location. Within a one minute walk there are bakeries, restaurants, grocery store, etc. Around the corner is a metro station and taxi stop. We could not have asked for a better spot to be our home base to explore Paris. Thank you for your detailed feedback: it highlights all the assets of the property, which makes it such a welcoming and wonderful home base for the whole family. Looking forward to host you again, or your friends. 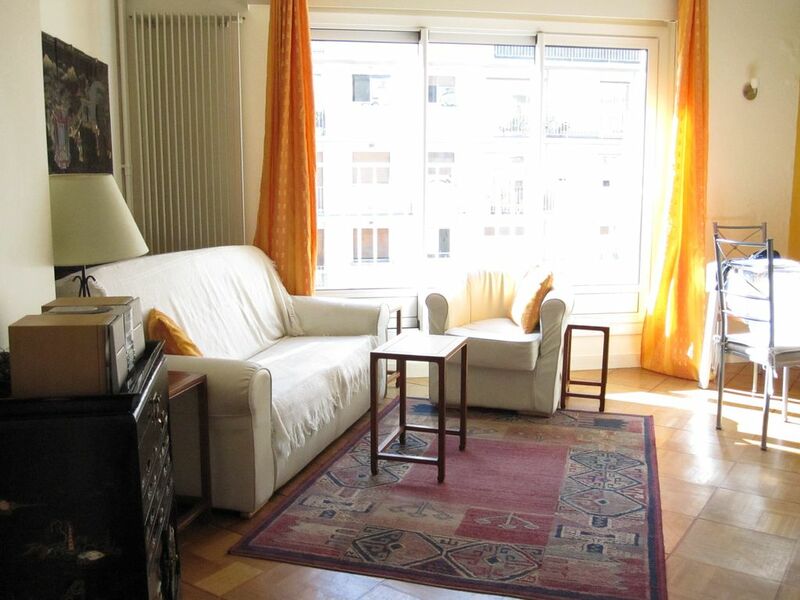 Great location...so convenient to museums, metro, Eiffel tower. Wonderful neighborhood, and nice apartment. Would definitely book again! it was a pleasure hosting you at La Comete! We are glad you enjoyed the residence as much as its wonderful location. Looking forward to host you, or your friends, soon. My family had the absolute best 5 day vacation in Paris staying in your apartment. Fernando showed us around the apartment and gave us information how to get around as well as additional sights our kids would enjoy. Many convenience stores and boutiques right in the neighborhood, and open air market on Rue Cler, casual brasseries and cafes, classy cuisine, Eiffel Tower, Army museum, Rodin Museum, Napoleon's Tomb, Orsay Museum, Grand et Petit Palais are all walking distance! Les Invalides, Eiffel Tower, Champs Elysees, Trocadero, Montmartre, Montparnasse, Parcs, Champs de Mars, Esplanade des Invalides and more just surround the residence... a short walk or a few metro stations away, you are in the heart of downtown Paris! Rental rates are ALWAYS quoted according to: - number of Guests - length of stay - season of stay. ALWAYS provide accurate information and confirm quote to get an accurate price.